The Just Transition(s) Online Forum is an initiative of the Just Transition Research Collaborative that collects stories on the Just Transition to low-carbon development. Bringing together a range of experts working on different aspects of this transition, it showcases different case studies, narratives and approaches to the Just Transition and their implications for equity and social justice. With the 2030 Agenda for Sustainable Development and the Paris Agreement on climate change, the international community has committed to bold and ambitious steps for tackling sustainability and global warming. Bringing together a wide range of stakeholders from governments, private sector and civil society, these global and universal agreements are being seen as sending “unambiguous signals that the world will shift its economic and social activity toward more climate-friendly and sustainable pathways”. While both the 2030 Agenda and Paris Agreement are significant diplomatic milestones, the greatest challenge still lies ahead: urgently and actually achieving the goals and targets that the international community has set out for itself. In other words, what are the resources, processes and actors that need to be mobilized? And how do we mobilize them in order to set the world on a pathway that secures a sustainable low-carbon future? The Just Transition — the idea that justice and equity must form an integral part of the transition towards a low-carbon world — is one of a handful of concepts emerging as we collectively strive to address these important questions. Since the Paris Climate Conference (COP21) and the adoption of the Paris Agreement, we have seen a proliferation of references to Just Transition in policy circles, among NGOs, think tanks, philanthropic foundations, as well as business interests. At the last COP in Bonn (COP23), one only had to stroll through the “Bonn Zone” civil society space and listen in on the side events to appreciate the Just Transition concept’s growing popularity within the climate community. How can we explain this growing interest in the Just Transition concept? Its inclusion in the preamble of the Paris Agreement certainly has something to do with it. So does the current economic and political climate; a climate marked by rampant inequalities, growing defiance towards political elites, and the ensuing revival of populist, xenophobic, nationalist, anti-climate, “jobs vs. environment” discourses. This revival is especially visible among industrial, low-income communities whose livelihoods — and even lives — are most at risk from the effects of both climate change and, in some cases, the very policies developed to address it. For some, the Just Transition concept, by focusing on the justice and equity dimensions of the shift towards a low-carbon world, can inform a new and powerful narrative. A narrative of hope, tolerance and justice. A narrative that is both aspirational and grounded in peoples’ actual lived experiences. A narrative that acts as a beacon to guide collective action while simultaneously giving rise to tangible alternatives on the ground. Not all stakeholders, however, share the same idea of what a Just Transition should look like, or how and by whom it should be accomplished. Instead of leading to an alignment of peoples’ views, the concept’s growing popularity has actually led to an expansion of its meanings. This, in turn, has created the conditions for struggles to impose a given understanding of what the Just Transition should actually mean. The growing number of references to Just Transition undoubtedly signals a desire to further root social and equity concerns into the climate and development debates. While this should be welcomed, it also poses a challenge for stakeholders as it makes it more difficult to clearly identify what Just Transition stands for, who is behind it and what is the underlying theory of change. Is Just Transition simply another “buzzword”? Should we take it seriously? Can it play a positive role in the international climate and sustainable development debates? 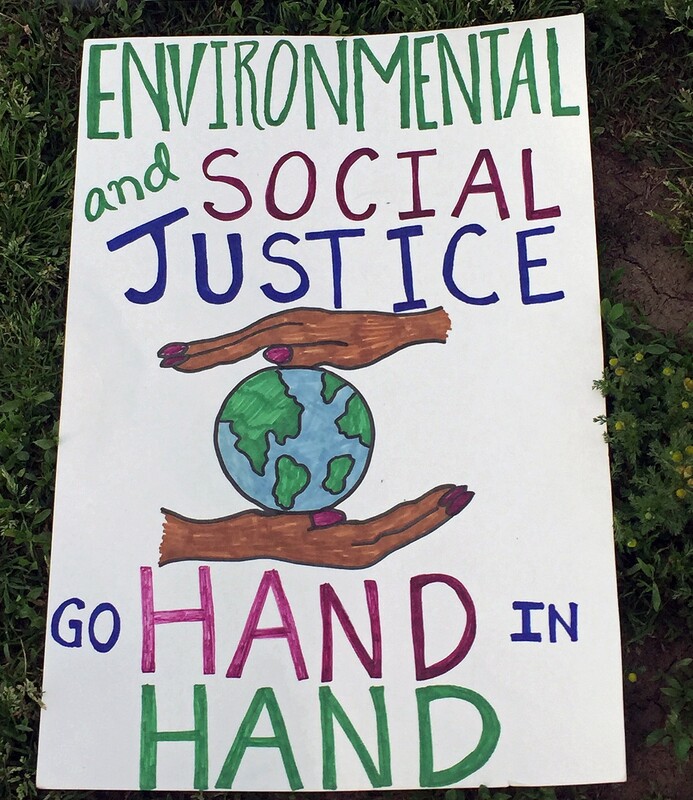 Launched by the Just Transition Research Collaborative (JTRC), the Just Transition(s) forum seeks to address what it identifies as a need: to connect the social sciences and humanities with the Just Transition concept and those who use it, and with the climate and development conversation more broadly. Too often, these conversations have been dominated by economists and climate scientists, and have merely paid lip service to the social and human implications of the climate crisis and the measures to address it. The Just Transition debate is unique in that it brings together a wide range of stakeholders — states, businesses, unions, environmental and development groups, foundations — around the equity and justice dimensions of climate change. It raises important questions: What kind of transition do we want? In the interests of whom? To what ends? Questions that inevitably imply a deeper discussion on the meaning of “justice” in the age of climate change. The social sciences and humanities are in a unique position to address these and other issues. Through a combination of concrete case studies and more conceptual analyses, the forum acts as a shared space for academics and other interested parties to share their views (and voice their concerns) on the Just Transition, its meanings, its current uses and its potential. We want this space to be as interactive as possible, so please feel free to share your reactions or Just Transition-related stories and analyses. The Just Transition(s) Online Forum is hosted jointly by the United Nations Research Institute for Social Development, the University of London Institute in Paris, the International Social Science Council, and Rosa Luxemburg Stiftung — New York Office. This think piece was prepared by Edouard Morena who is a Lecturer in French and European politics and history at University of London Institute in Paris (ULIP). Over the past six years, he has been actively monitoring non-state actors’ involvement in international environmental and development processes — and in particular the UNCSD and UNFCCC. His publications include “The Price of Climate Action: Philanthropic Foundations in the International Climate Debate” (Palgrave, 2016) and “Globalising the Climate: COP21 and the Climatisation of Global Debates” (Routledge, 2017). Contact us (jtrc dot coordination at gmail dot com) if you would like to share your story on the Just Transition!